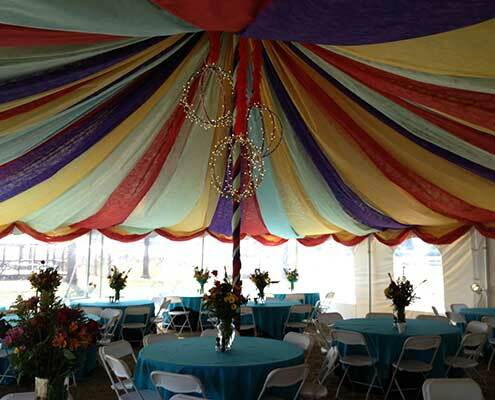 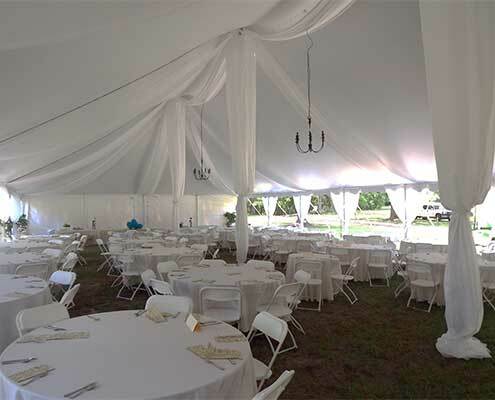 Piping and Draping is a simple solution that can provide dramatic results for your event needs. 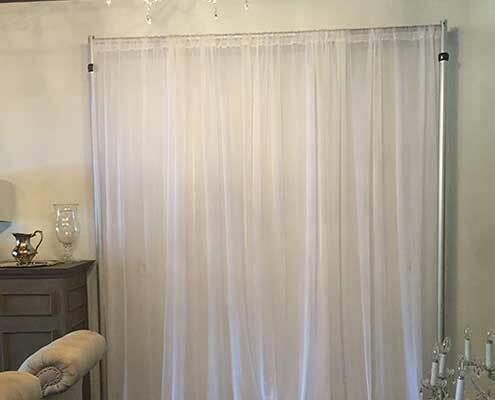 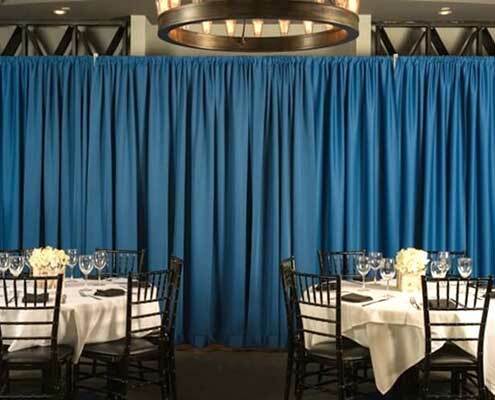 We are able to create rooms within a room, direct the flow of guests, cover existing walls, create backdrops, and create focal points with swags of fabric. 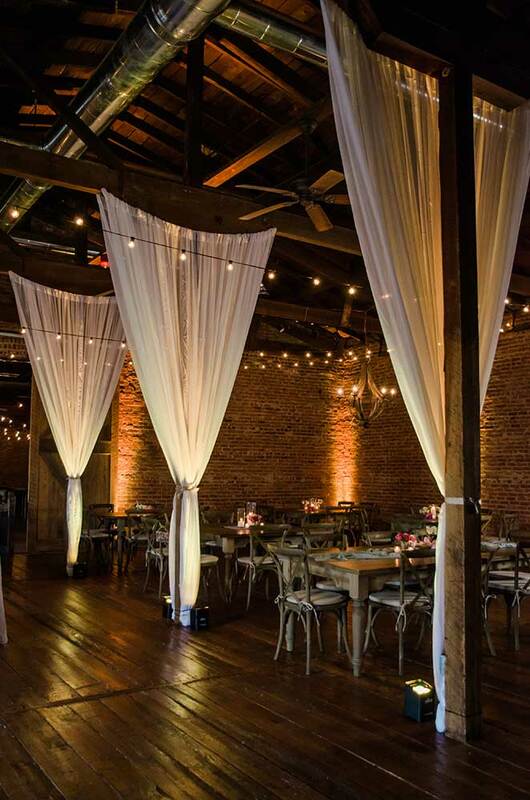 Draping can highlight the soaring architecture of your venue, as well as cover the less desirable elements at your location. 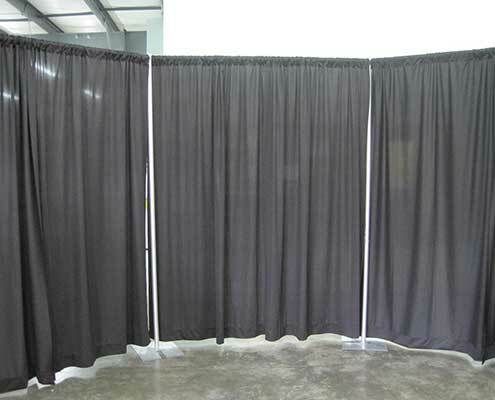 Our draping is black or sheer white, and we are happy to work with your custom fabric to achieve the look you want for your event.